In the production of scaffolding scaffolding, workplace shall be filled out by commissioned to build scaffolding department the scaffolding structures, entrust the acceptance certificate in triplicate. Entrusted department must be in order on the scaffold of specification (length, width, height and load, etc. ), set up date, plans to use time, location, device name and contact. 1 set up scaffolding must strictly carry out the installation engineering safety technical regulations and relevant regulations of the electrical safety work procedures. 2 set up scaffold. The staff must by the professional and technical training and hold / 3 set up scaffold pole adopts metal used in the steel pipe. Scaffolding working face of the thickness of the scaffold board should not be less than 5 cm, no serious corrupt or damaged condition. Corrosion of metal scaffolding steel tube, banned the heavier, bending, flattening or cracked pipe. Special pipe clamp connection part in accordance with the requirements. 5 scaffolding working face laid the scaffolding, each other should be connected firmly, and spread. Working face in the outside must be 1.2 meters tall fence, railing shall have a second. The scaffold must have a strong foot up and down. 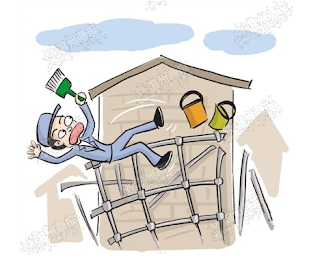 6 it is strictly prohibited in all kinds of pipes, valves, racks, meter boxes, switch boxes, railings and other devices Construction scaffolding. 1 scaffolding structures, when completed, the first by the structures, the scaffolding construction, acceptance, head of the project with the client and repair management after qualified engineer mutual acceptance, after acceptance of the three parties respectively in the scaffold Build trust acceptance signed orders ", and at the same time sign the "scaffolding qualified brand". 2 experience after receiving qualified scaffold, must hang card "the acceptance of the scaffold, and done Make the maximum load and use the date, etc. 3 dedicated scaffold in the chamber of a stove or furnace, or special, large when acceptance of scaffold, must have the delegate and build, head of the party and the safety of environmental protection and safety personnel to attend. 1 did not pass the acceptance inspection of the scaffold is strictly prohibited. The use of scaffolding load weight does not allow more than 270 kilograms per square metre. All more than the maximum load of the weight of scaffolding must pass a recount And reinforcement rear can use. 2 homework personnel before using scaffolding, must carefully check whether the scaffolding is in good condition, the joint special pipe clamp wire or have any loose, pillar is upright, footboard have vacancy, railings and up and down the scaffold Rail is complete, if there is abnormal should immediately put forward rectification, to build units was used after acceptance. Every encounter scaffolding work is hindered, must change the scaffold structure, shall be conducted by building party, and was used after acceptance. Anyone shall not, without changing the structure of the scaffold. 1 because of my job need to extend the scaffolding, could the must in advance to build request to extending the use of date, and indicating the date of extended use and reason on the orders. 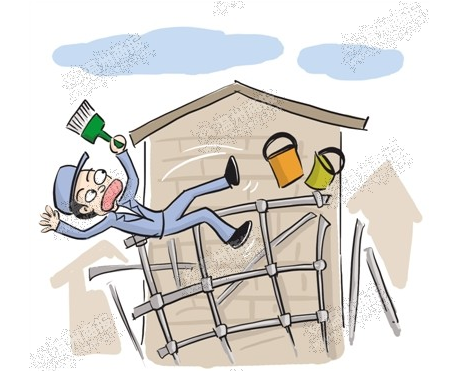 2 set up party should be based on the scaffold structures, the demolition of date on the orders, for scaffolding demolition in addition to the work in time. 3 around the dismantled scaffold, should set up safety fence, dismantle large scaffolding shall have the specialist field monitoring. It is strictly prohibited to high to low casting scaffolding artifacts. Irrelevant personnel prohibited on the dismantled scaffold site make leave. When near the power lines to dismantle scaffold should be a power outage. Can't power failure, we should take measures to prevent electric shock or damaged lines. Inspection and examination. The implementation of this standard led by the company in charge of the inspection and examination and safety of environmental protection organizations. Assessment method in accordance with the cooperation unit evaluation standard of check and evaluation.